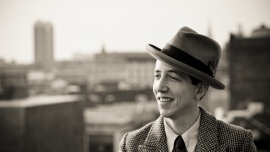 This May, Pokey LaFarge and his band will perform at the New Orleans Jazz and Heritage Festival. I chose both Mr. LaFarge and their performance at this event mainly for their stong roots in early jazz and the cultural diaspora of New Orleans. Pokey's style's undeniable. The man's committed to not only this accessible early American music, but the style and iconic look of America at the turn of the century. In my research of him, one particular quote stood out in his explanation of his work: "It's not retro music. It's American music that never died." To that end, I want to design a poster drawing on the historical and eternal nature of early American jazz. Considering the venue, nothing seems more appropriate that consulting the beautiful swamps of Louisianna for my imagery. Though I've never been to the everglades, swamps, or marshes of the south. I've been taken by the idea of them since reading Karen Russell's Swamplandia! over the summer. In particular, I'd like to pull from her ghost story about a young man who died while dredging (a doomed-from-the-start real estate venture to dry out the everglades) the swamp during the Great Depression in Russell's short section called "the Dredgeman's Revelation" Within her Gothic novel, the protagonist's sister commandeers the ghostship dredge thinking it'll lead her to marriage with the lost soul of the young dredgeman. I like the idea of seeing these mangrove trees at twilight or dusk... aquariam/terranium style so you can see their spidery veins. The dredge ship as a focus... done with a nod to riverboat / steamboat carnivality. Lots of vines, wysteria, the canopy of trees locked, with the dredge ship ghostlike veiled within. Maybe even a gator. Roots mainly for the nod to the Heritage festival. Bringing in the dredgeman's ship's important to me for its cultural weight of the Great Depression, where much of Mr. LaFarge's music is born out of, as well as the early Blues music of a working class America. It also reminds me of the river city blues LaFarge is working with. A St. Louis resident, Pokey's music also reminds me of the Mississippi riverboats and steamboats of old. I can't really remember where I saw these gorgeous shots of the everglades before (pretty sure it was on reddit's front page or something). But here are some images that are close enough to them. The only difference is they lack the mysterious and tempting element the other photos had (if anyone knows what I'm talking about, share the link! I can't find it...) I'm turning these images of the swamps over in my head while I draw. 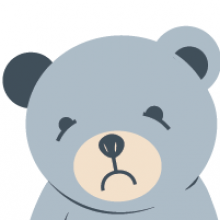 I'll put up some concept sketches later in the afternoon, or tomorrow for class. Thanks for reading! Alrighty, finally got some down time to sketch out some of my ideas. Trying to balance dredge with riverboat seems like it'll be a task later down the line... but something worthwhile to flesh out. Also, detail with the trees will be key. Making them stand out versus bland / jail like will be important. Let me know what you think. I'll have more details later.